Ed Sheeran is guaranteed to debut at No.1 tomorrow with his latest album ‘Divide’. But just what did our reviewer David think of the new LP? Is ‘Divide’ hit? Or is it miss? Somewhat ironically, the British superstar’s third long player has left David a bit… divided. Like many music fans, I lost my mind when Ed Sheeran released not one but two singles at the same time earlier this year. Immediately I was drawn to ‘Castle On The Hill’ and quickly decided it was my favourite. A few days later, ‘Shape of You’ quickly replaced it as my preferred song. He had created a divide (see what I did there?) amongst his fans; delivering something we’d expect versus something a bit different. The album itself offers a similar approach; something for existing fans and something to lure new ones in. And it’s working. ‘Divide’ has rocketed to the summit of iTunes Charts the world over and the number of streams his singles have had so far are staggering. But does this album live up to the hype and expectation? If you’re an existing fan of Ed, you’ll really love this album. It generally picks up where “x” left off and continues to showcase his knack for writing catchy tunes that showcase his voice and down to earth attitude. The sounds for the most part are organic and earthy and the topics covered are all the things we love to hear about from Ed (love, love yourself, love others, working through sadness/pain/loss etc. etc.). Having said that, I haven’t enjoyed listening to the album from end to end. ‘÷’ feels exactly that… a divided approach to an album. Ed jumps around between rapid fire rapping to forlorn ballads and it’s just clunky and unnatural. He’s pushed the boundaries but the lack of cohesion is jarring. A quick playlist reshuffle solves this issue. When Ed shines though, he really shines. Tracks like ‘New Man’ and ‘Shape Of You’ are funky, tell a great story and get stuck in your head. Heartbreaking closer on the standard edition of the album, ‘Supermarket Flowers’, is a touching tribute to his late grandmother and is a beautiful way to close the album. ‘Photograph’ remains one of my favourite songs from 2014 and there are more gems like that here. That being said, this is Ed’s third album and while he’s mixed a few things up, he hasn’t exactly pushed himself outside his comfort zone too far (unless you count taking his songs and turning them all into live acoustic performances as outside ones comfort zone). There are glimpses of a concept album that reveal themselves through ‘÷’ and it would be amazing to see him move in that direction for album number four. For now though, sit back and enjoy Ed’s journey through life in 2017. 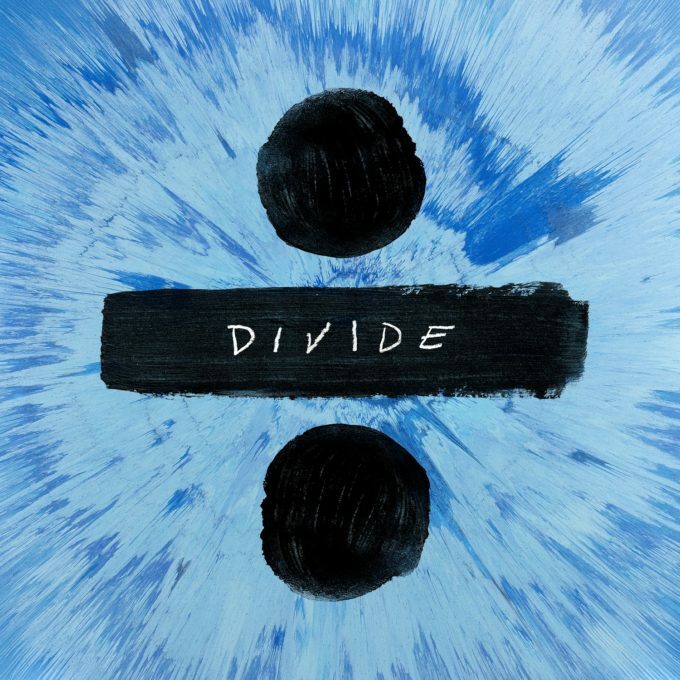 MUST LISTEN : Shape of You, New Man, Supermarket Flowers.